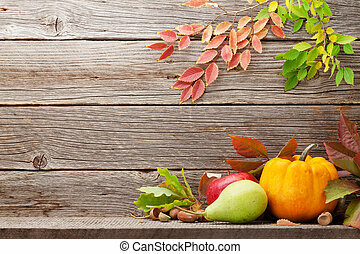 Autumn backdrop with pumpkins and fruits. 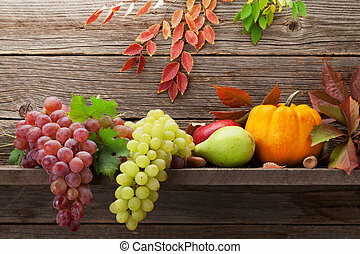 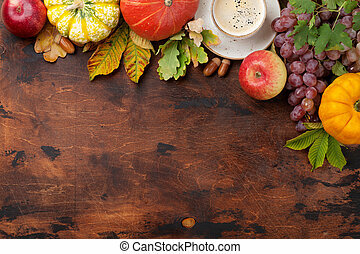 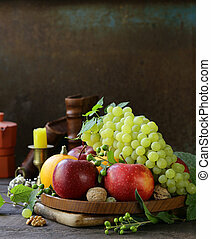 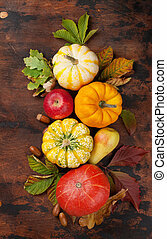 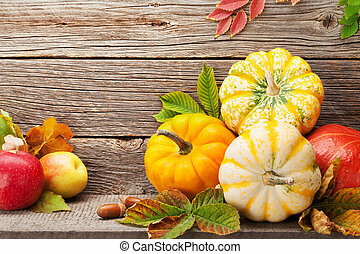 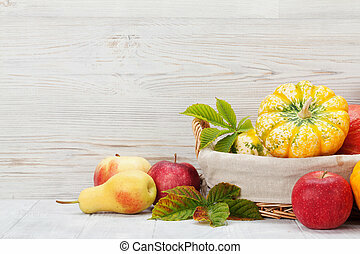 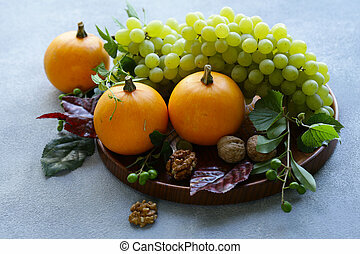 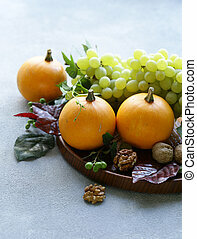 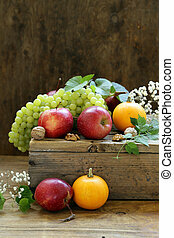 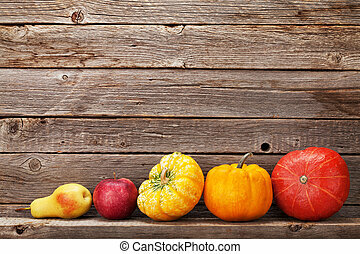 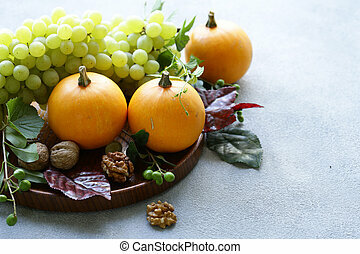 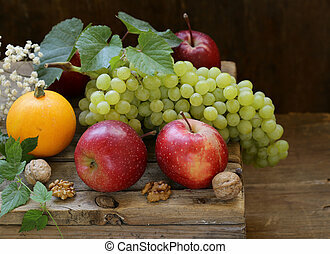 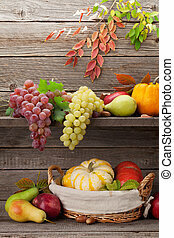 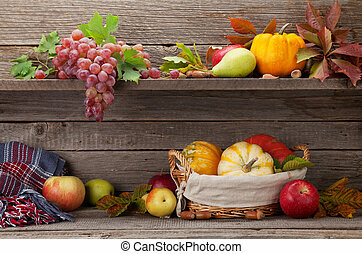 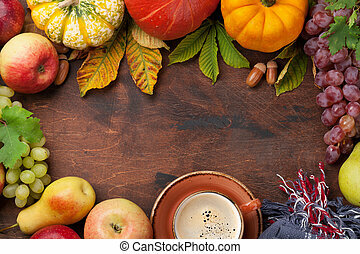 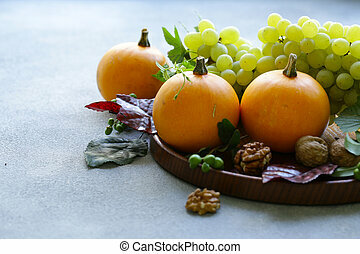 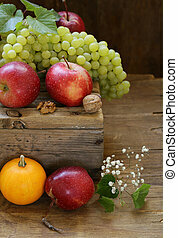 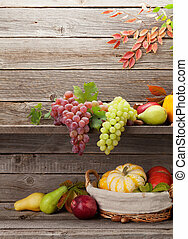 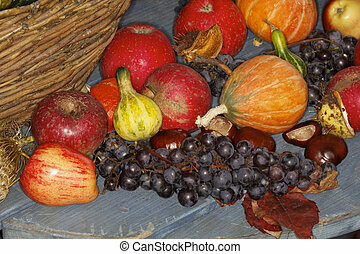 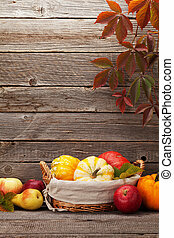 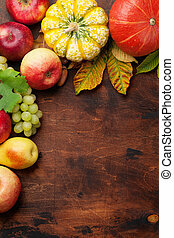 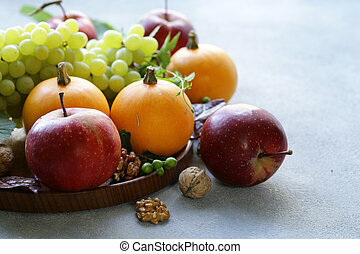 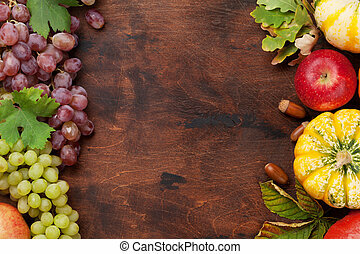 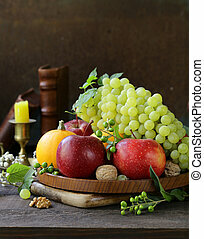 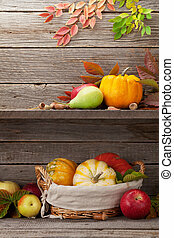 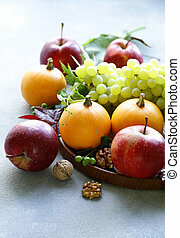 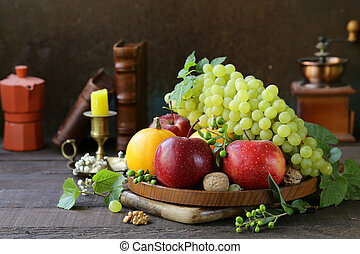 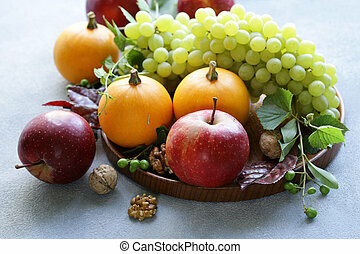 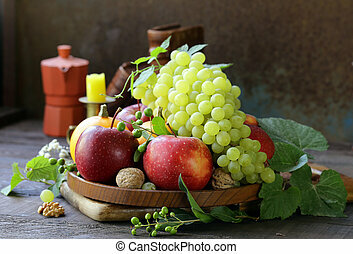 Autumn backdrop with pumpkins, apples, pears and colorful leaves over stone background. 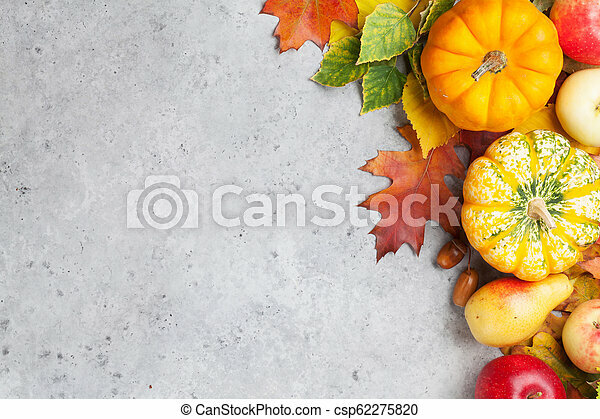 top view with space for your text.